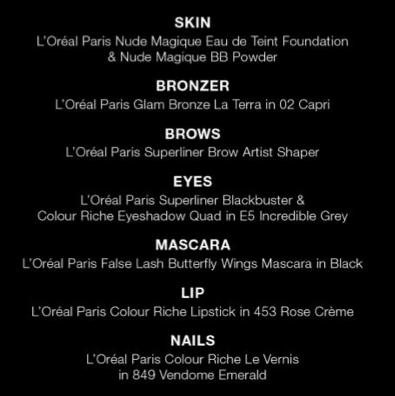 This is my third and final video for my collaboration with L'Oreal Paris and the VAMFF. I hope everyone has enjoyed the previous looks (found here and here). This time I have three makeup looks to share with you, all very unique so there should be something to suit everyone. Don't forget to tell me which one you would wear in the comments! This hottest look this season is the wing. 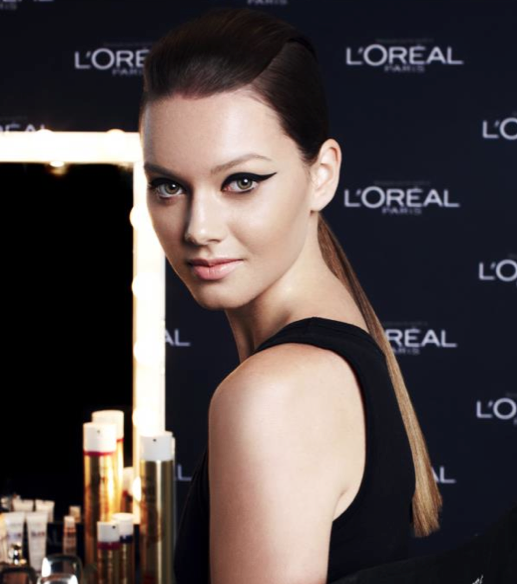 The wing is bold and daring, and you should try to keep the rest of the makeup very natural to accentuate this. Be sure to take the liner out further than usual toward the tail of the brow and to make the line very thick. To balance the eyes, a small amount of liner was smudged through the lower lash line. 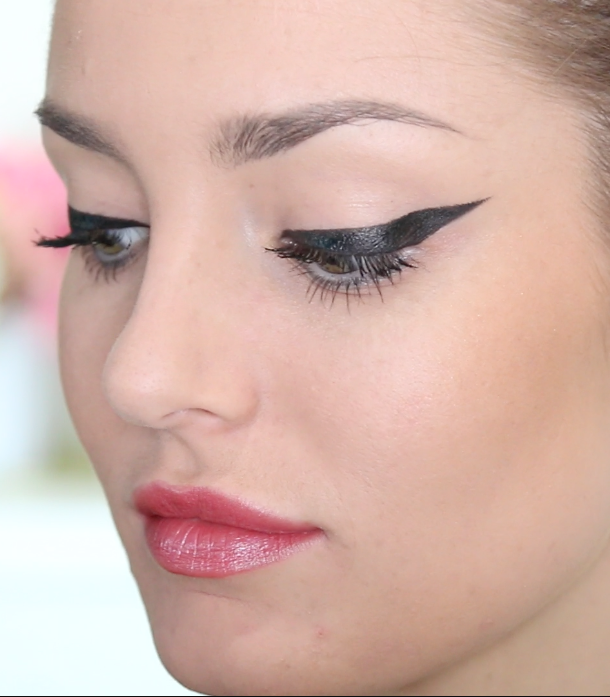 I wouldn't usually wear my wing like this but it's certainly fun to try every now and then. 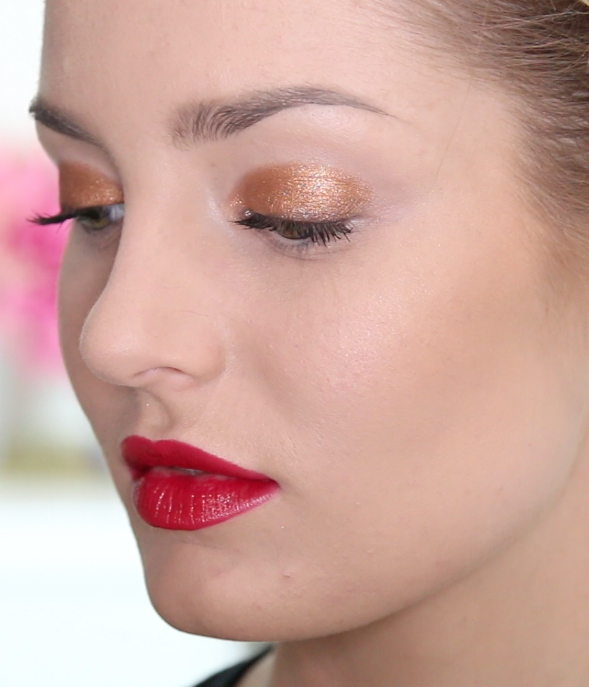 The metallic eye in this look is reminiscent of the makeup seen on the runway at Dior in Paris Week recently. It's a very modern style with the edges of the eyeshadows not blended. If you want to try wearing this, I recommend that you blend slightly but remember to still keep the shadow contained to the mobile lid. The dark plum lip adds a classic twist to an otherwise contemporary look. Now for something a little more wearable. 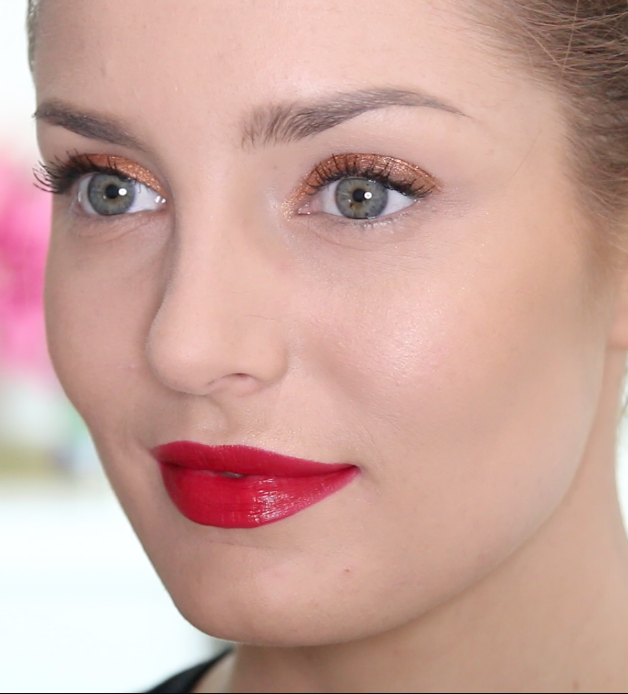 Hot red lips are always fun for any season and everyone can find their perfect shade of red. This orangey-red will suit almost anyone but I especially love the colour on people with paler skins like this model. The rest of the look is kept simple, making this suitable for daytime wear. 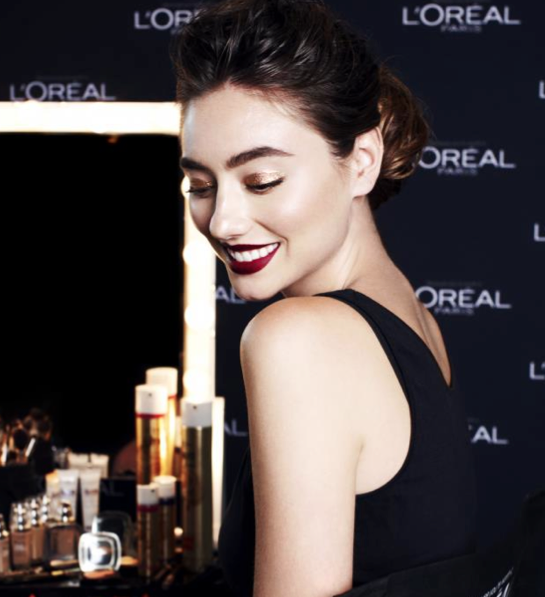 Bold brows and contour keep the overall effect looking sleek and polished. Be sure to check out my previous VAMFF blog posts HERE and HERE! Thanks for reading and don't forget to let me know which look is your favourite! You look super cute in all the looks. Great job! I love the second look so much!!! you are really amazing! Which foundation and powder featured above would you recommend for combo/oily skin? 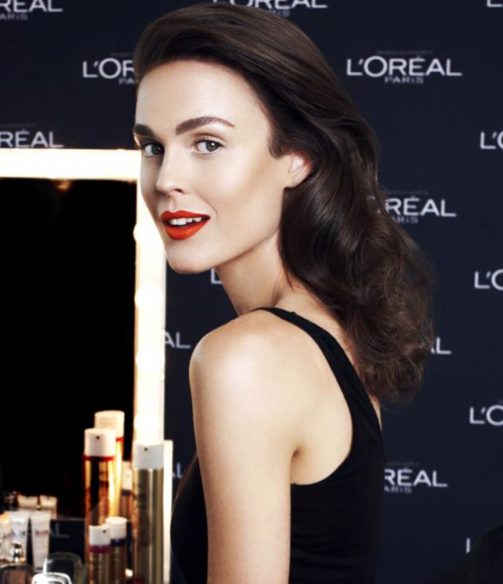 What color are you in the L'Oreal True Match foundation? I honestly need to grab that eyebrow pencil. Thanks for the heads up! I just saw a pic of you winging Pip!!! So great Chloe! 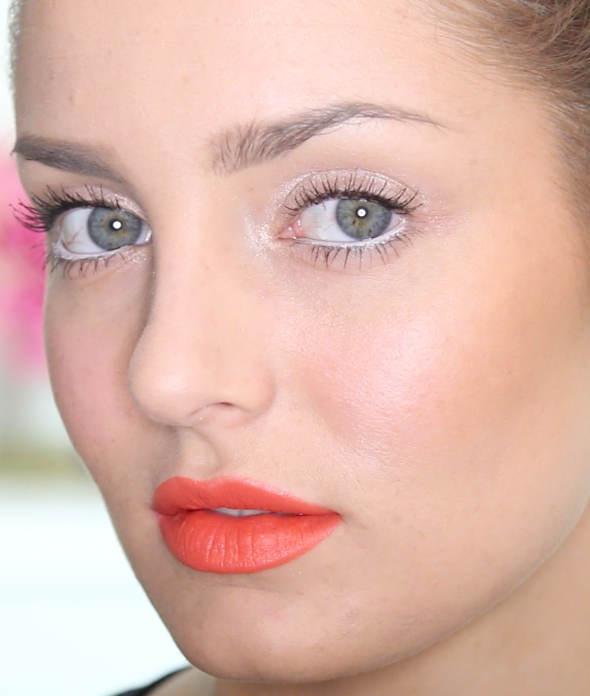 I am loving L'Oreal Matte Lipstick in Orange Power on you. It looks so good! 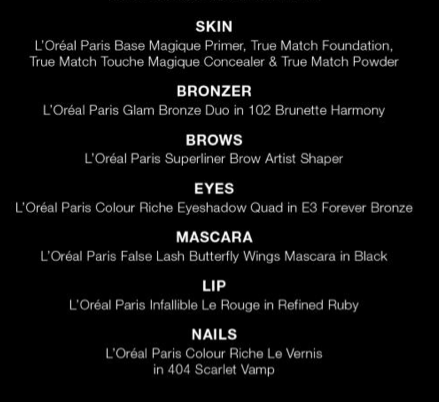 love the tutorial love the 3 looks!!!! 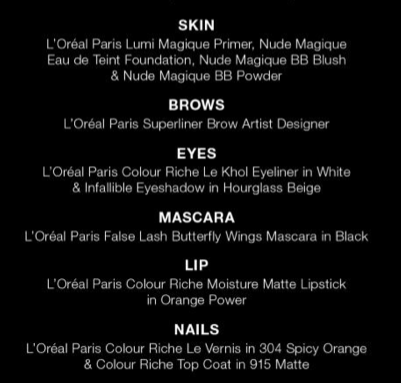 cant wait to try this looks on my face!!! 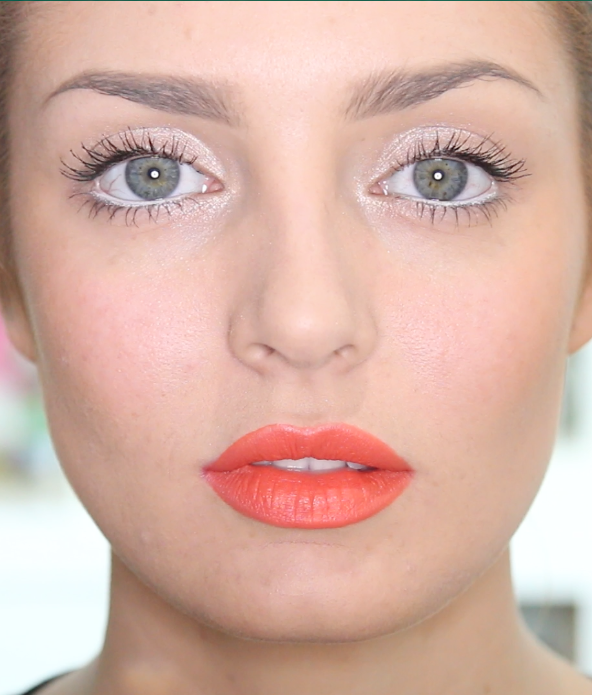 Candice Swanepoel Inspired Makeup and Outfit!